Not a term that comes up too often. It may be in some architectural text books but it rarely filters down to the ordinary construction worker. I show a couple of examples here because I have them. 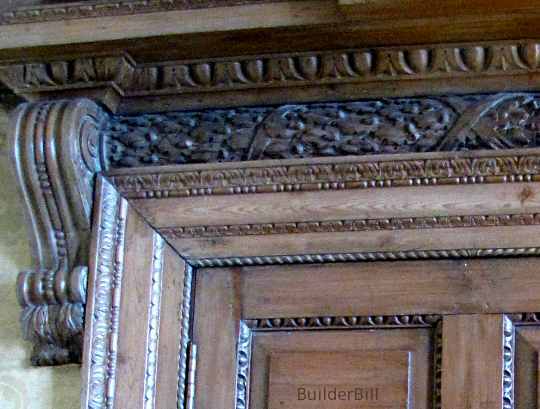 The egg and dart section above is the top band of carving above the door architrave in a section that is known as the cornice. Also to be seen in the architrave itself are some beading, in the sense of a row of small beads. At the inner edge of the architrave is what is known as rope beading which is a strip of decoration that is intended to look like a rope. 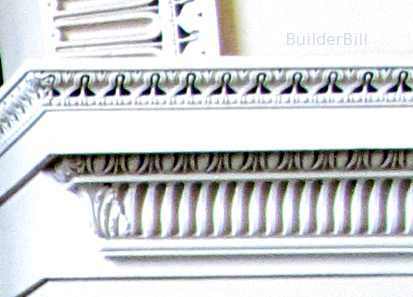 The E and D section below is in a plaster cornice. It is the middle band of decoration seen.